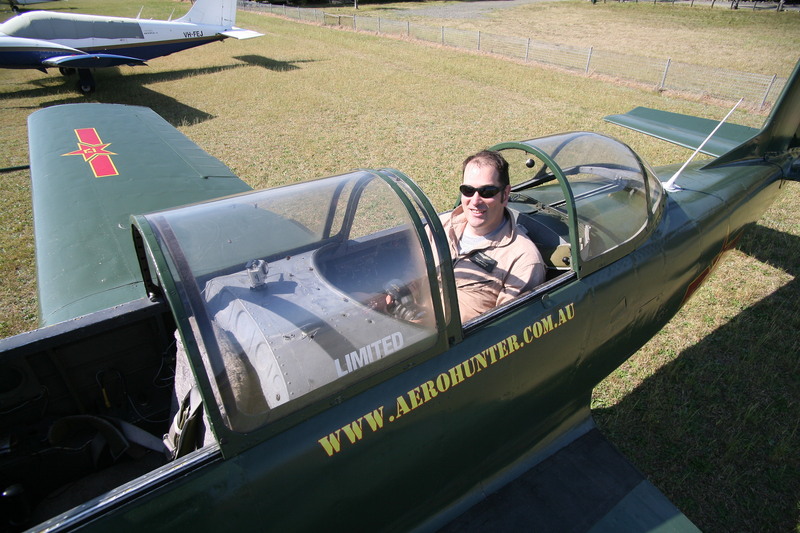 Aerohunter is a premier warbird flight experience operator in New South Wales, Australia. Soaring above Cessnock and the surrounding Hunter Valley, doing loops, wing overs, barrel rolls and pulling Gs, is all in a days work for the pilots at Aerohunter, as they take their customers through exhilarating aerobatic/combat maneuvers or scenic flights over the local countryside. 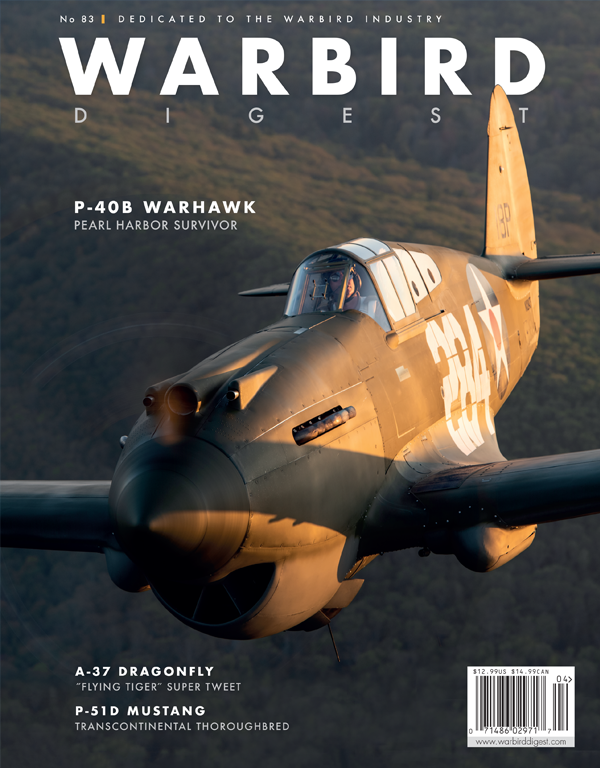 Operating originally from Cessnock Airport in the beautiful Hunter Valley about a hundred miles north of Sydney, Australia, is a small but growing warbird business – Aerohunter. Dan O’Donnell started Aerohunter in late 2010. 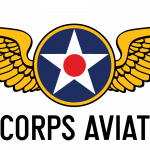 The company provides customers with local scenic flights and safe aerobatics in a warbird trainer while under the full control of the front seat pilot. Being just two hours drive from Sydney, allows easy access for for a large population base to come and fly at Aerohunter. It all started in 2008 when O’Donnell bought a 1986-built Nanchang CJ-6 Chinese military trainer. He initially leased it to two other adventure flight operators, but upon seeing their success, he decided to form his own company. And thus Aerohunter was born, using the Nanchang CJ-6 as the founding aircraft. As the new business grew, O’Donnell saw the need to expand the fleet with another aircraft to accommodate additional customer demand. The Russian-built Yak-52 arrived in August 2012, and it is well suited to adventure and aerobatic rides. During 2013, Dan sold Aerohunter to well known aerobatic and warbird pilot, Paul Bennet. Bennet has been a sought after pilot for many years as a founder of the Paul Bennet Airshows team. His highly trained pilots fly thrilling, complex and safe aerobatic events at air shows around Australia and also globally. 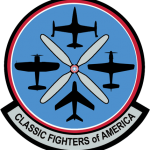 Besides flying aerobatic aircraft, Bennet has acquired a few warbirds over the last few years which now form a niche collection; including a Cessna O-2, deHavilland Tigermoth, a CAC Wirraway trainer and a Grumman TBM-3 Avenger. 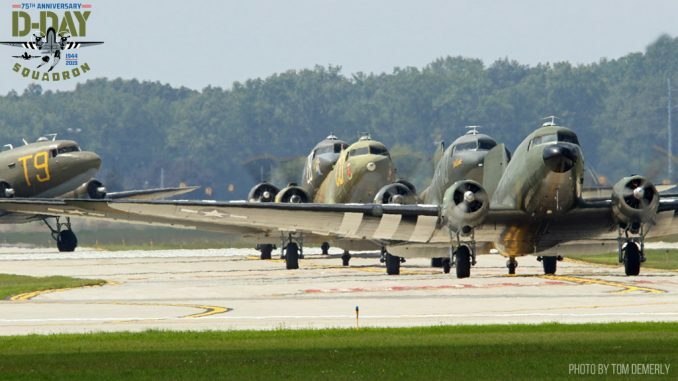 Bennet’s decision to buy Aerohunter allows him to inject new warbird adventure rides into the solid and successful business plan started by Dan O’Donnell. Since 2010, nearly a thousand customers have flown with Aerohunter. They mainly book at the weekends, but have had fun and thrilling experiences over the last few years. The Aerohunter business is marketed via their webpage, Facebook page, on the Adrenalin webpage and by customer’s word of mouth. Such has been the interest in Aerohunter, that it has also appeared on TV in a Jan/Feb 2012 episode of the Australian “Excess Baggage” show. In late 2013, Bennet appointed Glenn Graham – who is also a member of the PBA team – to operate and manage the expanded business. 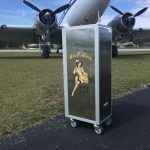 Aerohunter intends now to operate the warbird adventure flights not only from Cessnock airport but also Rutherford airport. Matt Webber at Luskintyre Aircraft Restoration and Cameron Rolph Smith at Performance Aero are responsible for maintaining the aircraft. A growing issue for any business in the aviation community is that flying is becoming more complex and harder to operate in some areas such as over the Hunter Valley, due to noise restrictions and build up of population density around airports. 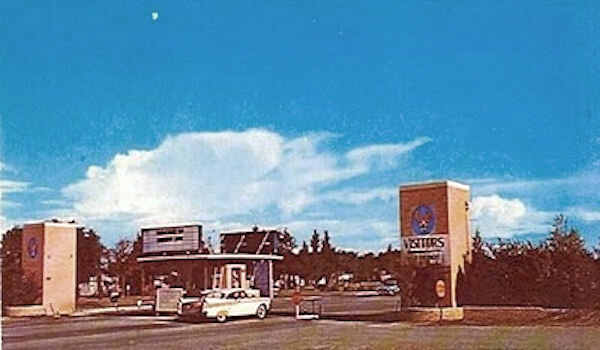 The rising cost of fuel is also a major issue on the bottom line. Even with the recent ownership change Dan O’Donnell remains involved with the ongoing development of the Aerohunter operations, although he sold his CJ-6 in 2013 to another enthusiast. 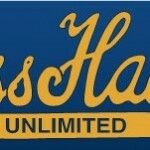 The basis of Aerohunter’s success to date has been its focus on customer satisfaction. 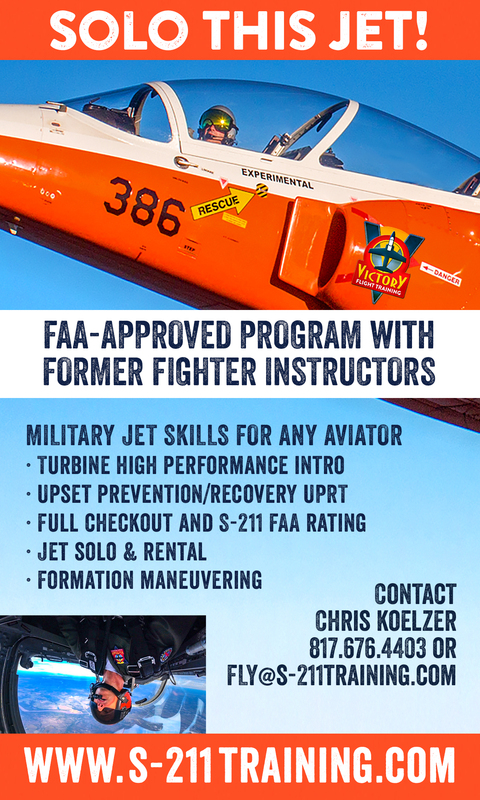 Aerohunter employs highly skilled pilots which further adds to the overall feeling of safety for the customer. With a range of flights on offer, flights can be tailored to an individual’s needs. It is literally an adrenalin rush, with an ever changing and interesting view from the back seat. Customers experience military style flight missions and maneuvers or can fly around on a scenic flight to Newcastle, Hunter or Nelson Bay. 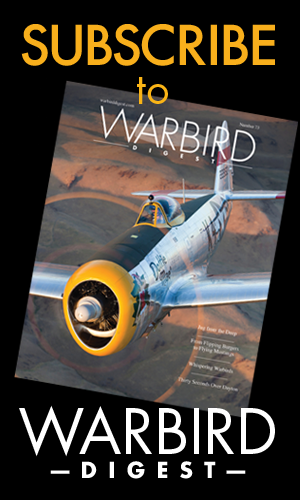 Before going up, all passengers receive a briefing explaining the aircraft and its systems as well as the associated risks they will take by flying in a Limited category warbird. All customers sign no-fault waivers before they take their adventure rides. 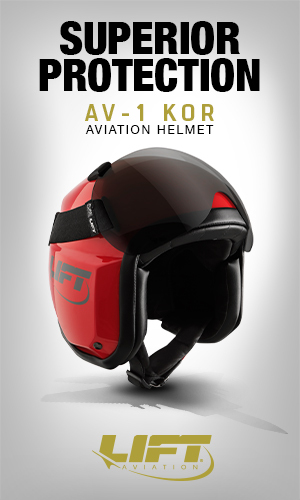 They are fitted out with a modern flight suit for the ride, as well as a headset. 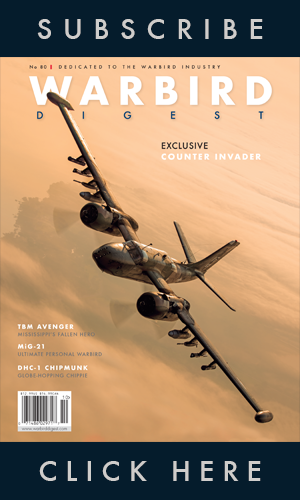 Aerohunter is becoming so popular that it has taken up 16 people on one day in 2013. With a few years of operations under their belts, the Aerohunter team has noted that their average customer is a 30 to 40 year old male. However, their age has so far ranged from eight to ninety four, and includes a growing segment of women seeking a thrilling experience. Bookings are usually required with one to two month’s advanced notice due to the popularity, and limited operational days. YAK-52 – First designed in the 1970’s the Yak-52 is still under manufacture, and used by many Air Forces all over the world. Very similar to the Nanchang in appearance, the Yakovlev design bureau created the Yak-52 with one thing in mind: aerobatics! Over eighteen hundred of them have rolled off the production line with the super-charged M14P engine generating 360 Hp. Its long straight wing and span length ailerons, allow it to roll at over 180 degrees per second, and snap roll even faster. The Yak-52 uses steel in its construction and has external rivets. It is noted as a more aggressive aircraft type which is better designed for handling aerobatics and harder flying. Being a Russian aircraft design, it is easy to acquire parts but takes a while for them to arrive from overseas. 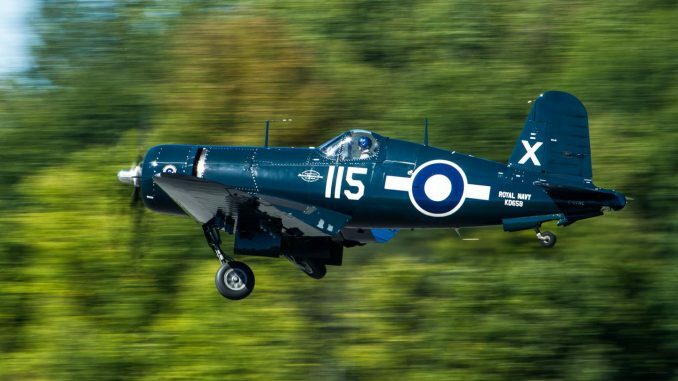 CAC WIRRAWAY – Having served during WW2 and gained its fame as a pilot maker and light attack aircraft, the Wirraway is nowadays a popular warbird in Australia. The RAAF Wirraway trainer was developed from the NA-16 with a license issued by North American Aircraft with Wirraway production starting in 1939. During WW2 the RAAF used the aircraft type in operational training and also as a makeshift light bomber/ ground attack roles. It also formed the basis for the CAC Boomerang fighter. Production continued post war until 1946 and when ended, 755 Wirraways had been built The last RAAF Wirraway was delivered to the RAAF in July 1946. 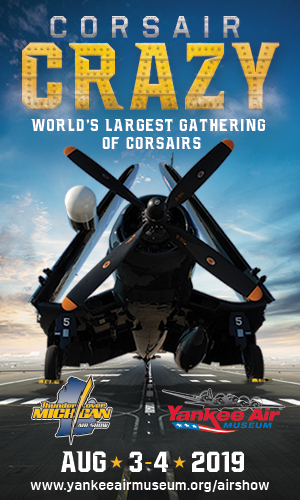 The aircraft is powered by an R-1340 600hp radial engine, with a top speed of 220mph. 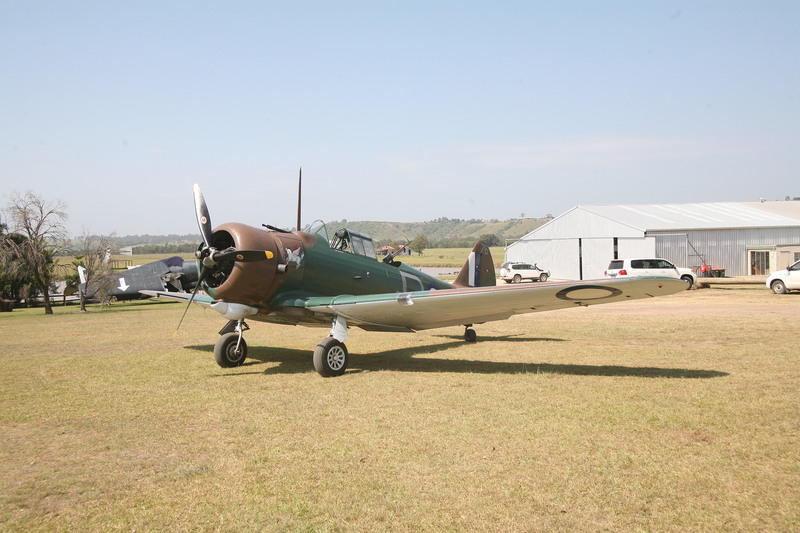 The Wirraway is able to handle aerobatics displays involving loops and barrel rolls. There are other Wirraways flying in Australia but they don’t do aerobatics adventure rides. There also some static, preserved Wirraways in various museums. In order to understand the capabilities of these adventure ride aircraft, the author took part in a 15min flight in the CJ-6 Nanchang in 2012. 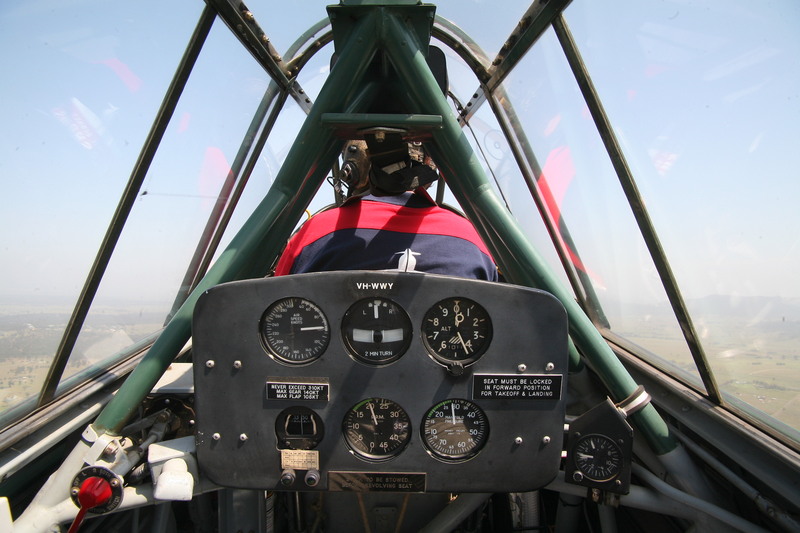 Another 15min flight was taken in 2013 in the Wirraway. NACHANG – With the CJ-6 Nanchang experience flying from Cessnock, pilot Dan O’Donnell started with a preflight briefing, a walk around and after I squeezed into the back seat the aircraft was started up. 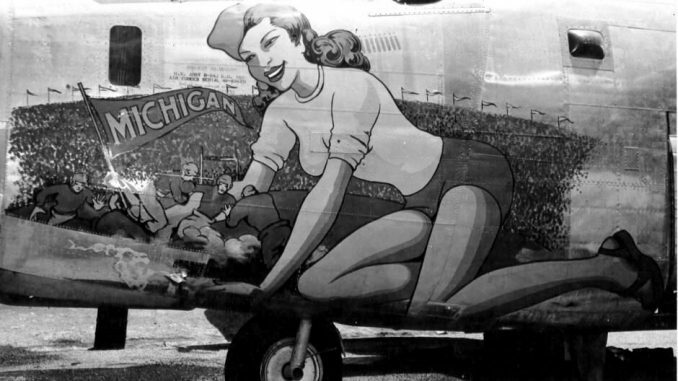 With a few flicks and a start of the generator, the HS-6A engine roared into life and soon after theNanchang ambled along the Cessnock taxiways. Not long after we were leaping into the air and climbing to the west of the airfield for the assigned aerobatic “box”. For the next 10 minute Dan guided me thro what he was doing with the controls. He showed me various turns, barrel rolls, loops and then introduced me to G-forces and my first ever experience of weightlessness. Also performed were some military manoeuvres including immelmans, cuban eights and a graceful stall turn. Handling up to 5-6G was quite an experience. It had been a while since I last did a full on aerobatic flight and I was surprised to be able to handle all the manoeuvres without blacking out. The sheer fun of feeling the weightless and G forces made it really an amazing experience for me. WIRRAWAY – The flight with Paul Bennet at the controls, in the Wirraway was interesting as it allowed me to see how a 1940’s aircraft compared to the 1986 built Nanchang. The Wirraway is devised around a hydraulic pump system and before the flight Paul explained how the aircraft systems work such as flap, gear and engine and what was required by the pilot to operate these. The internal cockpit framing structure, which acts like a roll bar, assured that I felt safe. The flight in the Wirraway saw Paul start up the R-1340 engine, do checks, then taxiing and off we roared down the runway and into the air. The Wirraway, I noted, was faster than the Nanchang, quite stable and also a roomy aircraft. I was able to see how it handled loops, barrel rolls, wing overs and half Cuban eights with ease. 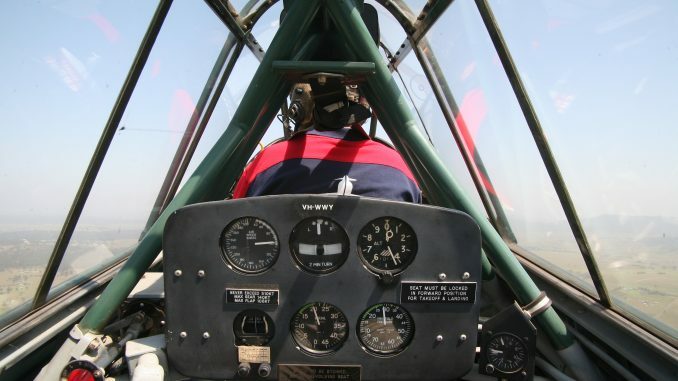 The rear seat had all the necessary instruments, and I could watch as Bennett turned with the turn and bank gauge and climbed or dived on the altimeter. 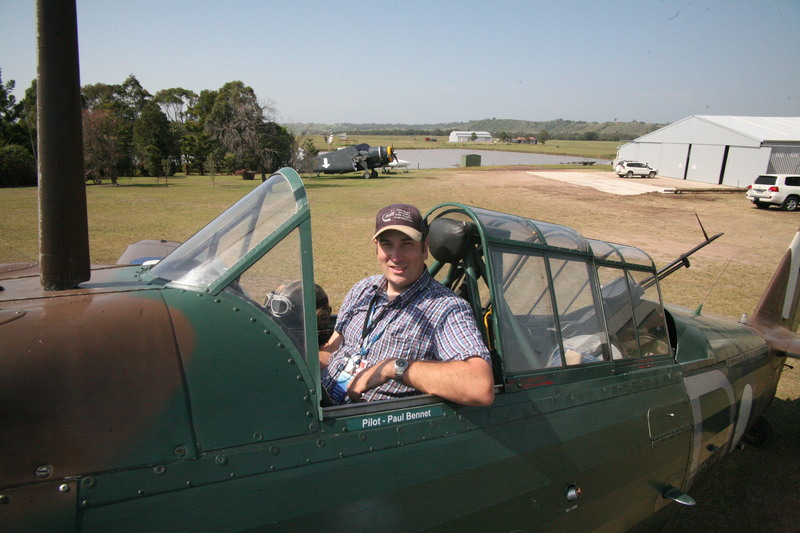 The experience enabled me to also understand what military pilots in WW2 and post war faced flying a Wirraway.